This will trigger a call to 727-346-9800 on mobile phone. Stay at One of the Best Hotels in Florida! The Historic Peninsula Inn is a historic hotel in Gulfport, Florida that features a number of exciting amenities, attractions, and more! Step onto our sprawling veranda, walk through our French doors, and begin an experience you won’t soon forget. At The Historic Peninsula Inn, guests will enjoy all the comfort and charm of a bed and breakfast. 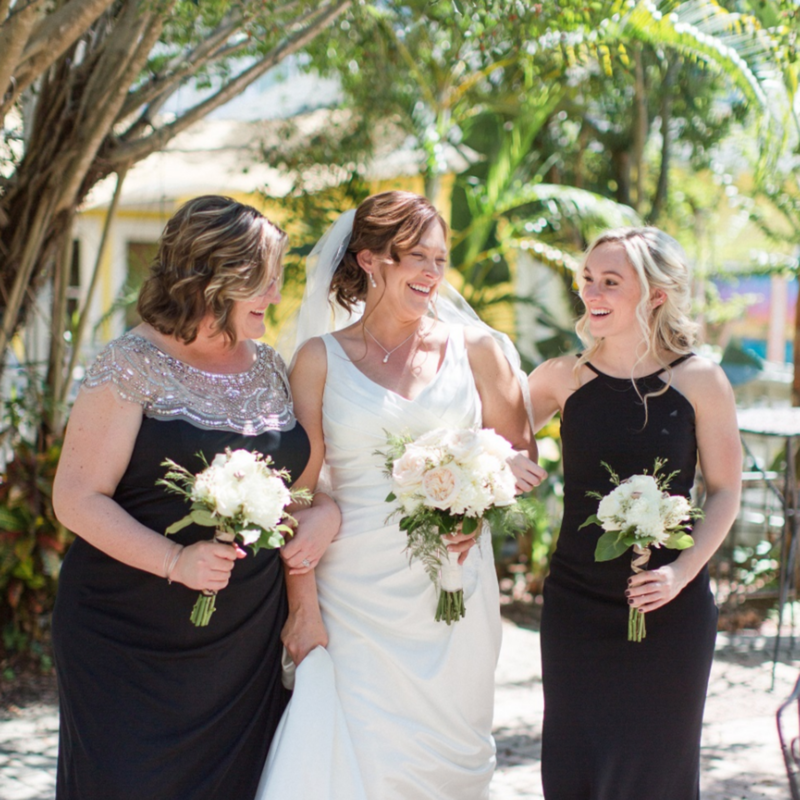 We are a fully licensed historic inn featuring both casual and fine dining, an extensive wine list and craft beers, and facilities for intimate Florida weddings and gatherings. 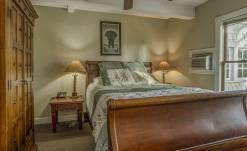 Our Inn features 12 beautiful accommodations including six larger suites and six regular guest rooms. Each of our rooms is unique from the next, making them distinctive in both their names and features. Suites include larger bedrooms, separate TV rooms, and a private bathroom, as well as other luxurious amenities. 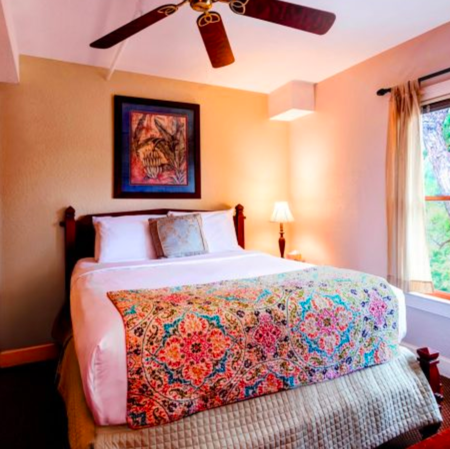 Guest rooms feature private bathrooms and have a variety of bed sizes and arrangements for different types of groups. Unlike other Gulfport hotels, we focus on the little details in order to make you feel at home during your stay with us. No matter which of our beautiful rooms or suites you choose, your stay at the Historic Peninsula Inn will be one to remember. We also offer our guests a delicious complimentary breakfast every morning. Wake up to the sweet smell of coffee, freshly baked pastries, and juicy, fresh fruits, and get ready for your next Gulfport adventure! 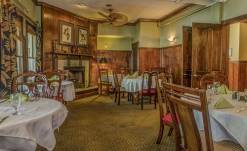 Another aspect of the inn that helps us stand out among other bed and breakfasts and hotels in Gulfport is our fantastic restaurant, Isabelle’s. Our onsite restaurant serves up classic Southern cuisine with a modern twist and has something for everyone to enjoy. 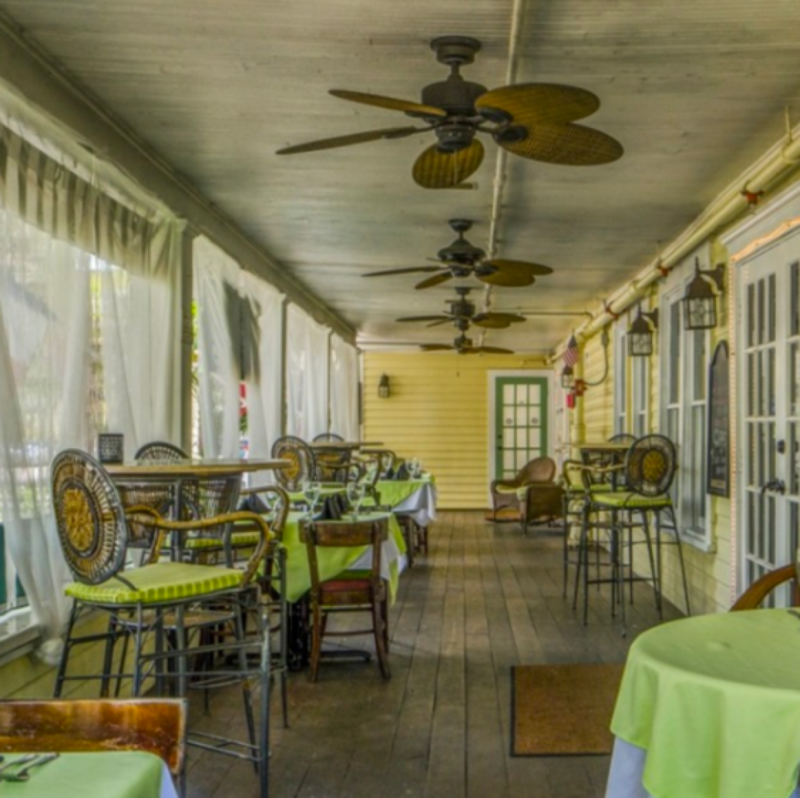 This Gulfport restaurant is named after the inn’s friendly ghost, Isabelle, and offers that old Florida feel. Check out our dinner menu for a preview of the delectable dishes to choose from. The Historic Peninsula Inn also features full facilities for small Florida weddings and other intimate gatherings, events, or parties. Depending on the ceremony you want, we offer vow renewal and elopement packages. Our Gulfport hotel offers a beautiful backdrop for your wedding and our friendly staff is here to make your big day run smoothly! When choosing where to stay, we understand that location can play a big part. The Historic Peninsula Inn is the ideal Gulfport inn as we are located near all the best attractions, activities, and points of interest in the area! Choose from fun in the sun beach activities or learn more about the area with a number of historical and cultural attractions. No matter what kind of vacation you are looking to experience, our hotel in Gulfport is located near it all. What Is the Most Gay-Friendly Town in Florida? 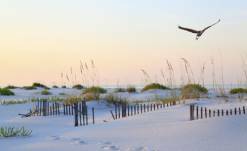 Gulfport is one of the most popular gay-friendly towns in Florida and offers an array of events and activities that welcome the LGBTQ community. Learn More about What Is the Most Gay-Friendly Town in Florida? One of the great things about staying in the Historic Peninsula Inn is that you can arrive here by boat! Florida is a premier destination for several reasons: It’s sunny, has gorgeous beaches and lush natural parks, and offers many activities for you to enjoy. What Can You Do at the Hubbard’s Marina? Trips to Florida are always fun. There’s sunshine, golden beaches, and a lively energy in the air! Learn More about What Can You Do at the Hubbard’s Marina? Vacations are meant to give you a break from your everyday life. Are you the kind of person that loves Christmas? Do you start decorating your house as soon as Halloween is over? If you answered “yes”, you will love the event we are about to tell you about! What if we told you there is a place that has all the seclusion and beauty you are looking for? If you think Florida was only fun during the summer, we have good news for you! Indeed, there’s an event between Halloween and Christmas that you can’t miss on the Gulf coast. To all the budding Einsteins out there! 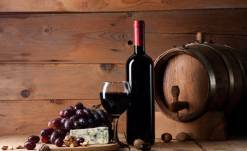 We found a great day activity for you to do while staying at the Historic Peninsula Inn! Florida has far more to offer than gorgeous beaches and ice cream parlors. Looking for a cultural, artsy activity to attend on your next trip? When you come to Gulfport, Florida, and stay with us at the Historic Peninsula Inn, the Tampa Bay Symphony is a perfect choice! 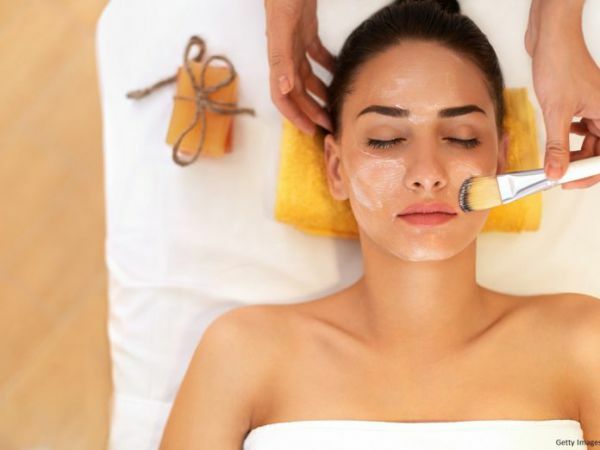 Do you want to have a truly dazzling experience during your next trip to Florida? Do you believe it’s possible to freeze a single moment of a honeybee’s life inside of a blown-glass globe? Are you looking for a unique place to visit during your vacation in Florida? We know what you need! Channel your inner adventurer during your next vacation and dare to do things you’ve never tried before! This is for invisible recaptcha only. No user input is required.